Anyone who has visited the Asheville, North Carolina area; or those of us who are lucky enough to call this place home, know how truly wonderful and special this city is. That is why we weren't so surprised when we got word that Asheville made the list of Forbes' 15 Coolest Places To Travel in 2018. 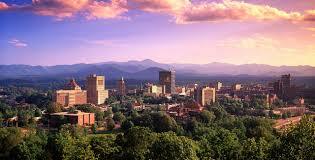 Yes, you read that correctly; out of anywhere in the world, Asheville, North Carolina made the list! We are squeezed in there right between Chile and Northern Brazil. The folks that Forbes interviewed consisted of high-end travel companies and the article listed the top places that were on their radar of visiting in 2018.